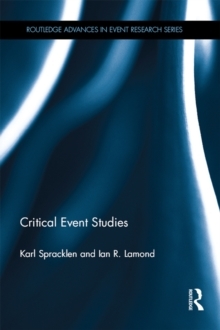 This book brings together the established field of political communication and the emerging field of critical event studies to develop new questions and approaches. 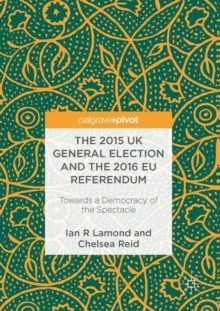 Using this combined framework, it reflects upon how we should understand the expression of democratic participation in mainstream mass media during the 2015 UK General Election and the 2016 referendum on Britain's membership of the EU. Are we now living in an era where democratic participation is much more concerned with spectacle rather than substantive debate? 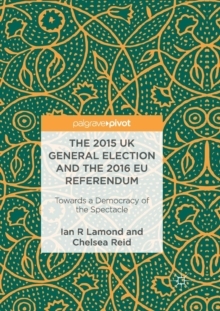 The book addresses this conceptual journey and reflects on differing models of democratic participation, before applying that framework to the two identified case studies. Finally, the authors consider what it means to be living in a period of democratic spectacle, where political events have become evental politics. 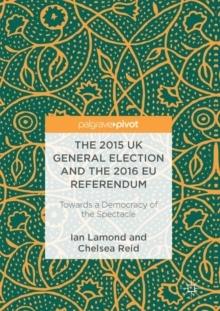 The book will be of use to students and scholars across the fields of political science and culture and media studies, as well as wide readers interested in the current issues facing British politics. Pages: 88 pages, XVI, 88 p.